IFSEC knows that bringing the security community together is vital and as the UK’s leading security industry event, we welcome new strategic partnerships; particularly when they’re being delivered by long standing friends and colleagues with a deep understanding and reach into the security sector. 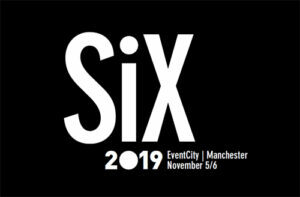 Which is precisely why IFSEC is excited to fully support the new SiX Event hosted by Pro-Activ, publishers of PSi, Benchmark and Risk UK magazines, which is taking place at Event City in Manchester on 5th & 6th November 2019. Manchester is an ideal location for an event of this type, as it will provide security installers in the North with an easily accessible opportunity to experience the latest technologies currently on the market and meet with the UK’s leading security experts. IFSEC has always been a consistently proven outlet for the security industry to meet with over 27,000 customers across an intensely focused three-day period, where tangible business is discussed and delivered. This year we saw over 43,461 leads generated and over 34% of visitors had annual budgets of over £1million, making IFSEC a core business strategy for manufacturers and suppliers. In addition, the hosted buyers programme and meetings service deliver pre-arranged face to face meetings with key customers, many of whom are already placing orders with IFSEC exhibitors. 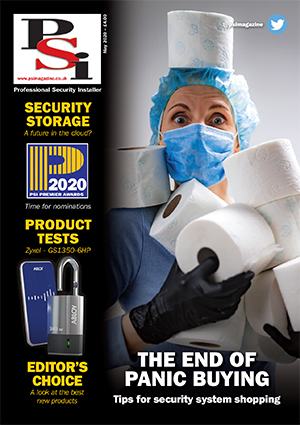 PSi magazine has been an essential promoter and supporter of IFSEC and is unrivalled in the UK as the security installers’ magazine of choice. So, the new SiX event is a unique opportunity for their favourite journal to come to life. The event will focus on helping installers and integrators understand the very latest technologies with a comprehensively structured seminar programme featuring presentations from subject experts as opposed to associations or government bodies. This will be complemented by a packed product and services exhibition which will provide manufacturers with direct access to their northern customers – many of whom have pressures on their time and availability. We fully appreciate that sometimes getting to IFSEC is not always possible so the next best thing is to attend SiX- it’s like an IFSEC outpost for the north! Pro-Activ has over twenty-five years of experience and relationships with the UK installer community which makes the SiX Event such a compelling development for the installer community in the North. Readers of PSi and Benchmark magazines have long-established relationships with these leading journals so providing them with a three-dimensional, real time representation of the magazines will be a tantalising proposition.